On a recent job upgrading a client to Cat 6 cabling, I discovered this scenario inside the wall. This is not an acceptable method to extend data cabling and it is no wonder the two staff whose computers were connected via these cables were having intermittent issues. 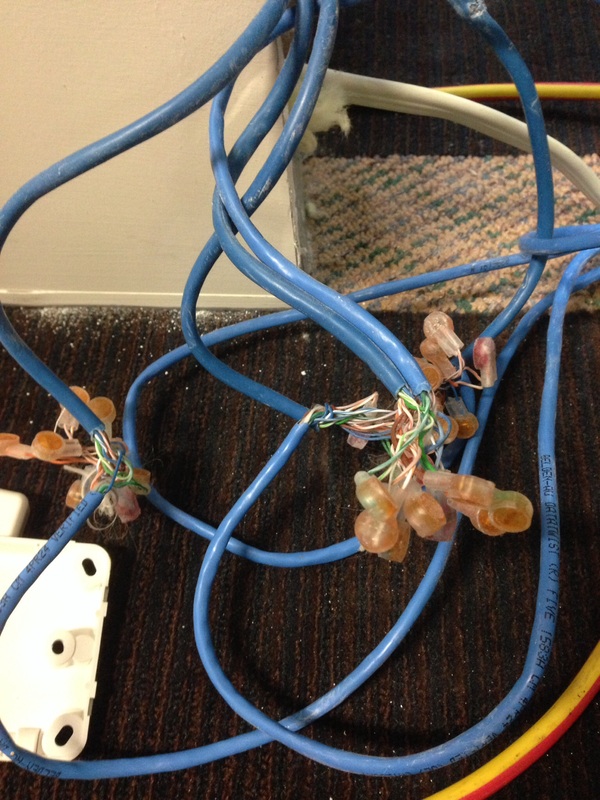 Other issues that would affect data integrity across their network were discovered at this site highlighting the importance of having a licensed Cabling Contractor to perform any cabling work. If you are experiencing problems with your computer network, call us to discuss having your cabling tested to see if it is performing properly. Do you experience constant dropouts or reduction in speed with your ADSL service. There are a number of factors that can affect your internet. We have the experience to detect and resolve those issues promptly. It is important to get a licensed and skilled cabling person to work on your phone and data installations. I was called to a business today to investigate a fault which in part related to poor quality cabling by another Communications Company. (See attached photo). This is indicative of the quality of workmanship in the cabling that was run throughout the offices. 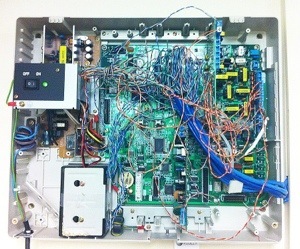 To enable this businesses communications to work effectively, I will need to tidy up much of the original installation. If you want quality workmanship, give Peel Datacomms a try for your next job.